Where does self-confidence come from? And how to fake watchesdevelop your own self-confidence? A high degree of self-confidence, from a high degree of swiss replica watchesself-discipline. What is self-discipline? Self-discipline is to manage their own, their own constraints. This is a very important ability. First learn to restrain yourself, with a strict schedule to control life, in this replica watch self-discipline constantly honed out of self-confidence. Self-confidence also represents the control of things, even the most basic time can not control, talk about self-confidence? 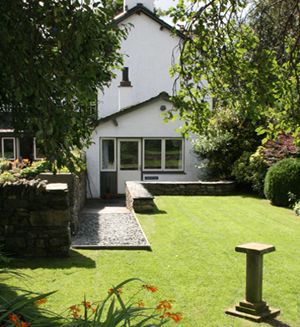 For a real taste of the country life, the Garden House at Townson Ground is perfectly positioned in the heart of Ruskin country. 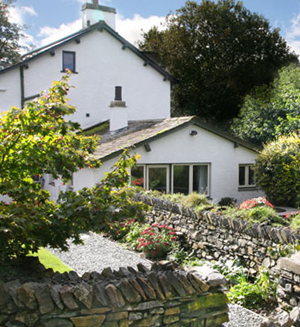 This bijoux holiday cottage has views to the north; across the rolling fields there is a glimpse of Monk Coniston, a grand house once owned by Beatrix Potter and part of her legacy to the National Trust. 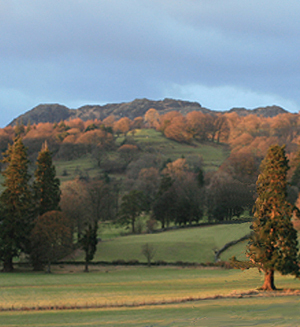 The Yewdale Fells stand tall in the distance but hidden over the brow is Tarn Hows, bring your walking sticks and wellies, it’s a brisk 1.5 mile walk through sun flecked woodland. Only a five minute stroll from the house brings you to gently sloping shores at the head of the lake; ideal for launching canoes and small craft, this part of the shore line is open to all. 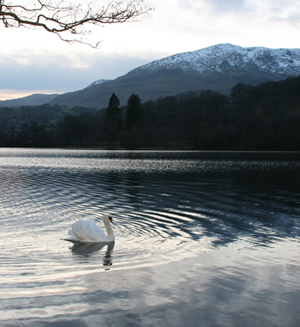 Rise early and wonder at the rhythmic reflections of mountain and lake in perfect symmetry; hop on the ferry that can take you to Brantwood or Coniston and see the views from a completely different perspective. Eat homemade cake at the Jumping Jenny or sample local roast lamb in one of the cosy village pubs a mile away. In autumn there is a cornucopia of colour, in winter crisp cobalt skies. If you’re serious about mountain biking there’s The North Face Trail in Grizedale Forest. (The Garden House has secure storage for 4 bikes.) 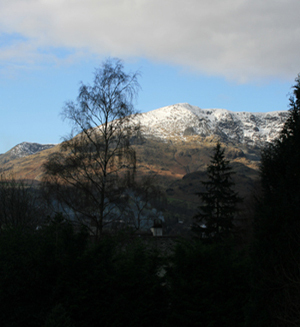 Adrenalin seekers can attempt the 2635ft assent to the summit of Coniston Old Man; look back, Townson Ground appears as a speck on the eastern shore! Be inspired by the sculptures in the forest or try the woodland xylophone; be brave and swing through the trees with ‘Go Ape’. Hire a rowing boat and spend hazy days drifting on the lake or a mirror dingy for a Swallows and Amazon style adventure to Peel Island, ‘Wild Cat Island’ in the book. Take a picnic with ginger beer or a BBQ of the famous Waberthwaite sausages, just watch out for Captain Flint on your way home! At the centre of the Townson Ground Estate, The Garden House can be found where the old laundry once stood. Now no longer needed for piles of crisp white linen, this new single storey addition is a charming space that is ideal for a happy holiday. The only other house on the Estate still owned by The Reeves, the interior has been treated with the same care and attention to detail as Townson Ground House next door and both properties can be booked together if your party swells to 18. 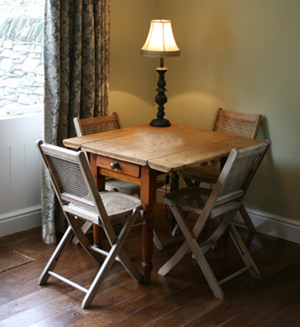 Separated from the kitchen of the big house by a tall dry stone wall; light streams through the large windows of the sitting room casting warm patches across the dark timber floor boards; verdant wallpaper adds freshness and fun. 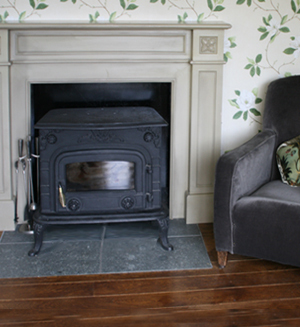 On chilly days, the cosy armchair and sofa drawn around the roaring wood burning stove are perfect for relaxing with the newspapers or a novel. 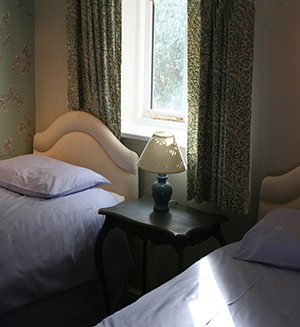 The two pretty bedrooms have a mix of interesting antiques; the double bed a snug floral eiderdown. Outside, freshly planted honeysuckle tumbles along the edge of the path from the gate to your front door where a patio with furniture for four overlooks the private lawn and the valley beyond. 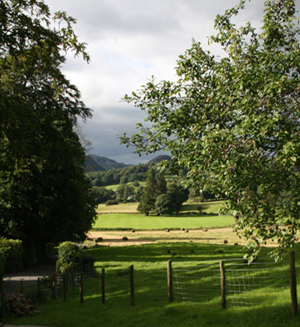 There is a separate utility room to store bikes, hang wetsuits or dry your wellies so make sure you come prepared for everything Coniston has to offer. To preserve the peace of all estate properties; the facilities and grounds are strictly for use of resident guests. 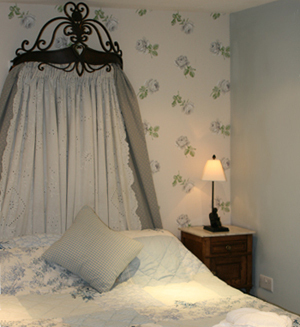 To visit our booking agents page for The Garden House please click the link below.